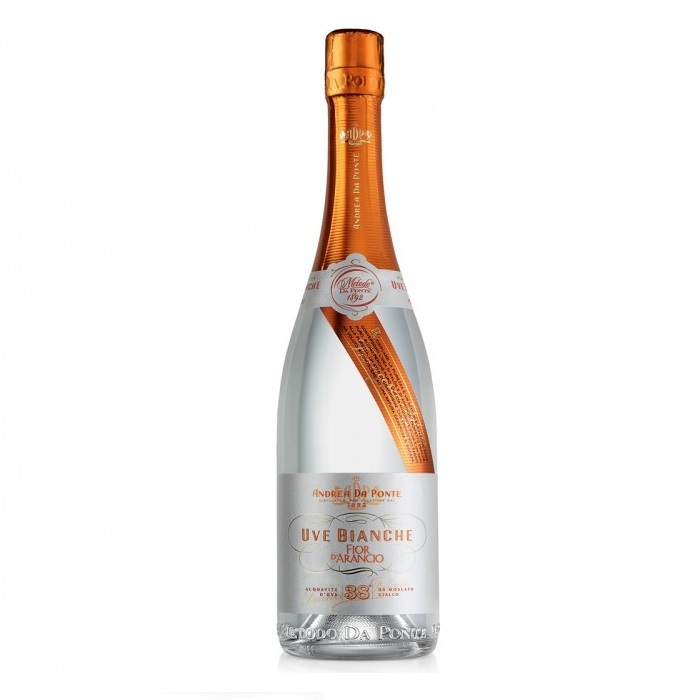 Crystalline-pure, Uve Bianche Fior d'Arancio is an ultra-natural grape spirit infused with the aromatic essences classic to the Moscato Giallo grape. Its bouquet is a lively duet of sweet ripe peach and emphatic orange blossom, with subtle notes of well-ripened apple and pear. Its smooth, refined palate yields floral and citrus impression, citron in particular, crowned by a pleasurable, long-lingering finish. The traditional single-batch, bain-marie pot still process, the *Da Ponte Method*, is a guarantee of clean, sharply-delineated aromatics.